Sooooo I had this whole post all planned out about how Melanie and I met and it was so much fun. But then work went way long, and I had an evil deadline that killed me and now I'm dead. Which, given that it's Halloween, is somewhat appropriate. Anyway, I went racing over to Lawyer Friend's house after work to get my costume on, and completely forgot about posting. And right now I'm going to eat pot pie and watch a scary movie and not get home until after midnight. So here is your speedy Halloween post, brought to you by my iPhone. Have an excellent, safe Halloween! And don't wait until the last minute to write your posts. Only a few days to Halloween. So I thought I’d do a quick monster post. Just to be clear, I’m talking about these monsters in a horror kind of way, not in a paranormal romance kind of way. Don’t get me wrong, I love a good paranormal romance, but around Halloween, monsters need to be monsters, and not emo, tortured souls that glitter in the sunlight. So here is the ranking of my top five most favorite monsters. 5. Frankenstein’s monster—This is one of my least favorite, and I think that is mostly due to the way Frankenstein has been portrayed by Hollywood as a dim, almost mindless creature. The original story by Mary Shelly was far more interesting with a highly intelligent monster who was rejected by his maker. I love the themes of being held accountable for one’s creations whatever they may be. Want more information on Mary Shelly's Frankenstein? You could read the book or link here for an indepth summary. 4. Zombies—I’m not really a fan of mindlessness in monsters, and you don’t get much more mindless than zombies. Also, zombies tend to be slow, and I’ve always wondered why people have so much trouble outrunning or outthinking them. However, I do think zombies can be interesting metaphors for disease since being turned into a zombie is a big part of the horror in zombie stories. I’m not sure people today fear disease as much as people used to since there hasn’t been a major, virulent outbreak in my life-time, but the 1918 flu pandemic killed 20 to 40 million people in one year. Even with all our technology, other than vaccinations which take time to develop, I’m not sure if we are better equipped to handle a similar outbreak today. Now that is scary. 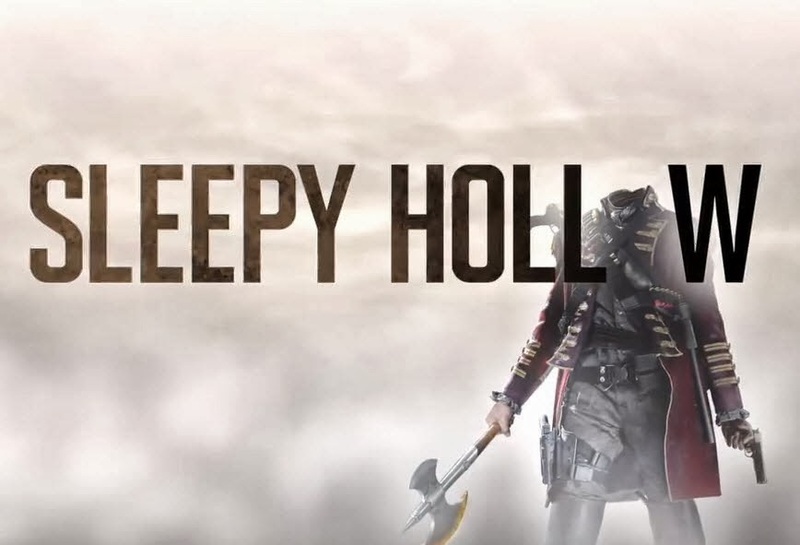 Want a fresh take on zombies? I suggest going back to the source for inspiration. Here is an article on the origin of the zombie myth to get you started. 3. Ghosts—I think what I love the most about ghosts from a writers’ stand point is the flexibility. A ghost story can have very active ghosts like in the movie Poltergeist where they have that creepy clown and a tree attack a kid while sucking another child into a vortex, or very subtle hauntings like in The Others or Sixth Sense where you have creepy instances without a lot of direct interaction with the characters. Personally, I find ghost stories the most eerie. I think the origins of ghosts is fairly obvious, but here is a list of supposedly true ghost stories and hauntings that might get those creative juices flowing. 2. Werewolves—While the animalistic side to the classic werewolf is more or less mindless, it’s the human side that interests me. The potential internal conflicts are goldmines. There’s the conflict of the infected individual learning that he/she is a werewolf and potentially committing murders and possibly hurting loved ones without his/her knowledge or ability to stop it. Additionally, the conflict of the characters trying to stop the werewolf can also be full of internal conflict since they have to kill the innocent side in order to also kill the rampaging beast. This can be especially heart-wrenching if the infected individual is someone close to the hunter. So much built in conflict to explore. I love it. 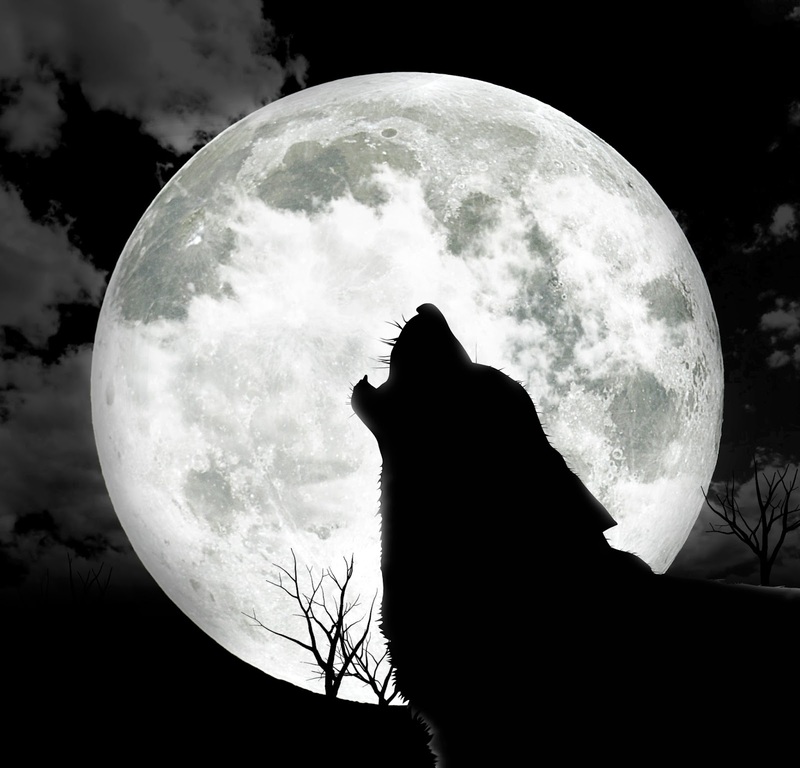 Here is a brief history of werewolf myths. Did you know there were werewolf trials just like witch trials? Fascinating. 1. Vampires—Vampires to me are the ultimate monster. I read Dracula in college, and some of those early scenes are so freaky. I like vampires who are truly devoid of humanity (unredeemable), and yet highly intelligent and alluring. In fact, it probably is how vampires essentially seduce their victims which I find most appealing. I’m not sure what that says about me, but I’m okay with not analyzing it. I do realize the sexual aspects of vampirism, the blood lust, the penetration, how modest, upstanding women are turned into wanton, freely sexualized beings. But I think it goes beyond the sexual aspects. Vampirism is about abandoning all social constraints, good and bad, a complete lack of morality in all sense of the word. I see vampirism as an elevation of self to the detriment of all others. Origins of the vampire myth is discussed here. If you want to write a story about an evil and twisted female character, you need to read the part about Elizabeth Bathory. Truly disturbing. Anyway, that is the order of my favorite monsters, and the reasons I still find them interesting even though they have been done to death. I think that there will always be some room to breathe new life into these classic monsters. So what is your favorite monster? Alchemy was just the start of my publishing adventures. In January, I'm publishing another book called Hidden Magic. It was the first novel I ever wrote, and somehow it managed to maintain its hold on me through the whole learning curve. It would be fun if I could find my first draft and compare it to the final project--I doubt more that 20% of it survived the editing process, and possibly less than that. It has taken nearly six years to get it to this point. But here I am, knee deep in watching Darren Boekweg create my cover. It is a gorgeous cover, and I can't wait to share it with you. But a few days ago he asked what I wanted on the back cover. Eek. When I went on the radio to promote Alchemy a couple of weeks ago, I was terrified. Like couldn't sleep terrified, and this was why: There was a pretty good chance someone was going to ask me what our book was about. Do you know the feeling? Even if you've got your elevator pitch prepared, it is so easy to get lost in the convoluted twistings and turnings that seem necessary to explain character, setting, theme, and plotline. Before I went on the radio, I turned to my daughter, who luckily was able to distill about five minutes of stuff I thought I had to explain before I could even begin to discuss what the book was about into one very natural sounding sentence. A lot of the books by very famous authors don't have a blurb about their book on the back. Instead, they have a "praise for" section where they cite reviews of previously published books. I am adding this to my list of reasons to become a successful author--so that I don't have to write my own back covers anymore. Megan Whalen Turner has a huge picture of herself on the back of the dust cover of my copy of The Queen of Attollia, and nothing else. A few other books had most of the back devoted to an author bio. Books later on in a series often had very few words. For example, the back of Allegiant says, "One Choice: One Choice Can Define You. One Choice Can Destroy You. One Choice Can Transform You." For someone picking up her book for the first time, that is next to no information. But those words are carefully chosen to stir the hearts of people who are already fans of the series. Another reason to get famous. Tag lines like that can get so famous I don't even need to name the book: "One ring to rule them all..."
But my favorite back covers had a quote from the book or a short synopsis, and in many cases, they had both. I know from happy experience that a well-written back covercan get people interested in a book. In fact, I'm a huge believer in using that space to sell your story's romance, if it has one. I went so far as to count the words on the backs of the stack of my books that had quotes or synopses. None of them had more than 150 words. More than half had close to that number of words, and most of those had a quote from the book with a tiny synopsis that mostly put that quote into context. Those with just a synopsis were usually closer to about 75 words, with a lot of white space on the back. White space is so important! If the back of the book is filled with words, people (read: me) don't bother to read it. There was often a different font for the hook, so that people's eyes are drawn to it, and then are interested enough to read the whole thing. I haven't found the magic words to put on the back of Hidden Magic yet. I'll know when I get there, because the people who read it will love it as much as they loved the back of Alchemy. A. Go through the back of the books you love and notice what works for you. Then write your answers in the comment section. B. If you already have some great advice about back covers, please share it. We could become the definitive word on back covers! On the east coast, it is already after midnight, and I would have missed my posting deadline. But I am not on the east coast, my friends! I am on the west coast, and thus have all sorts of extra hours at my disposal. Deadline shmedline. What am I doing on the west coast, you ask? My husband thinks we're on vacation and that blog posts somehow write themselves. We're not on vacation. Well, he's not anyway. He's here for a conference. I'm here to meet Sabrina!! But since this is one of Roger's only chances to play on this trip, I'm going to defer my blog post until tomorrow. So come back then. It'll be AWESOME. Then a shower, then the kids to school, then the son to the dentist, then pick up the girl from kindergarten, followed by lunch, and several needed necessary writing hours as I get Waxling ready for betas. ... Also, um... this is me asking for Betas.... Anyone want to beta Waxling for me? Say so, or else just expect an email from me sent in your general direction. (MaryAnn and Susan I'm looking at you. I'm sending it to you and you can't stop me.) But that email was delayed in coming by a simple suggestion by my sister to check out a show on PBS called The Paradise. So I did. At which time I found that the first three episodes are available... here. At which time I proceeded to ignore the laundry, the children, the writing, and I watched all three available episodes in one day. That's four hours of Paradise...and that's not a bad description. Let me tell you about it...just a little bit. It's like Downton Abby but with shopping. In a lot of ways, it seems to me that they made a list of things that girls like. Or really some list that "girls" like, that mythological creature created by stories and movies and assumptions while girls themselves are much more a random act of chance. Anyway, I was saying something else. This is the list I can just see some marketing person somewhere penciling down. as long as that "anything" means talk about clothing and fabric samples. I am a feminist, and yet I like all of those things I just listed. I have had conversations about fabric samples, and I don't care that I'm a cliche when doing it. I like babies. I like holding them, and raising them, and making them. I also like a modern Austen type feel in a show. I am predictable. And part of me hates that. I don't like that I'm not good at math, because there is a cliche that says that girls are not good at math. I hate cliches, and as a writer and a feminist, I hate it. But that doesn't make me good at math. But despite my rebellion not to like something, because someone smart probably expects that people like me will like a show like this, it's a fun show. I hope you watch it so that you'll be able to delve into the in depth look I'll probably get around to writing eventually. I think the takeaway here is that it's fine to write cliches, as long as they are founded in a character's truth. I think it's okay, nay good, to research your market, and figure out what your readers actually want to read about while plotting a story. Also, sometimes it's okay to put the writing away and watch a historical drama filled show that's all about a shopping mall as you eat chocolate ice cream. Even though that means you are a giant cliche, and that marketing people predicted you would like it, just because you were a girl. And now I'm going to clean up my ice cream bowl, settle the evidence of four hours of un-productivity, and talk to my children. Sheena is the author of Funny Tragic Crazy Magic (99 cents yo, for a short time) and the coauthor of Alchemy. During my unplanned vacation (thanks a lot, Congress - now all my deadlines are much worse than they were before), I did manage to get a LOT of reading done. I had two favorites, one of which I'm going to talk about this week. And for that, I'm going to need to address my fellow Code Name Verity enthusiasts. You all know this is out, right? And that it's a companion book to Code Name Verity? (Not a sequel - though a certain someone makes a few appearances). Oh, and there are no spoilers for CNV here, because some of you silly people haven't read it yet. Anyway! Look what is out! So, here's the thing. I was extremely nervous about reading this book. I loved Code Name Verity more than I have just about any other book in a long, long time. Which is pretty much setting up an unfair disadvantage for this book, but there you go. Did I love it as much? No, I can't say I did, in part because of a pacing issue. But I still loved it, and if I hadn't just recently read Code Name Verity (and The Fault in Our Stars), THIS would be the best book I've read in a long time. I'm going to take a go at trying to tell you why without any spoilers. But if you want to go into the book completely cold, I don't entirely blame you. Just go read it. But be prepared, it's not easy. I still loved this book because the most important facets of CNV that I loved were still there. For one, the emotional impact is there. It's different, but it's still there. And once again. Elizabeth Wein's skill with characters is the best I've come across in a long time - though it's more the side characters than the main heroine that stuck with me. This is a harder book to read too. 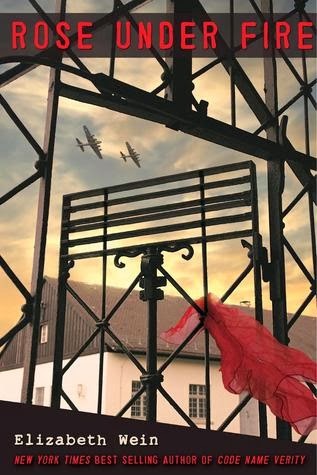 It's set in a concentration camp, and it's pretty much as horrific as you think it might be, and then some, because all of these horrors are pulled from historical fact. And yet... it's not hard to read in the sense of it being horror after horror, because the characters are front and center. But really, the main thing that impressed me was that you learn about 1/4 of the way through the book what will happen to all the characters. And it doesn't matter. It still hurts every bit as much when it actually happens. So much so that I'm trying not to tear up now. With my fellow prosers launching a fabulous new book (link here), I thought I’d do a quick post on links that I found on the internet that might help with that dreaded self-promotion. I haven’t gotten to this stage yet, but I know regardless of which route I take, I will have to do some self-promotion. I am incredibly shy about these things, and I know I’ll end up with some dreadful self-conscious ramble here and there on the internet. I’m not looking forward to it. Anyway, here's my link soup that will hopefully help you promote your books without cringing. The Basics- This link has excellent advice that is the minimum of what every author should do in promoting their book online. There is also a lot of advice to avoid those huge mistakes that can drive readers away. The link is a discussion thread that is very long, but the best stuff is in the first post, so if you don’t want to read through the entire thread, just read the first post. Social Media- There is a ton of advice on how to use social media to sell books (like here, here, here, and here), but the best advice that I came across is to only do the things that you enjoy. If you love twitter, than use twitter. If you hate twitter, don’t use it. Find the social media that you enjoy using and use it. Don’t use everything unless you just love all forms of social media. Social media is about connecting with people, and if you aren’t willing to engage with others, then it isn’t going to work for you. You don’t just throw up posts promoting your book, you get involved in discussions that have nothing to do with you or your book and connect with people. It is time consuming, so only do what you enjoy doing. Here is Sarah’s awesome post about selling books on Twitter. Be innovative– Agent Kristin Nelson makes a great point in this post. By the time the word gets out on a new way to promote a book, it’s probably already too late to jump on the bandwagon. Don’t be afraid the think outside the box and try something new. Of course that is easy to say, and much much harder to actually do. Which leads to the next section. Research-It may not hurt to spend a little time researching how readers choose books. I did a little bit of research for you. Here is a survey done by Smashwords on how readers choose books. Here is a discussion on Goodreads about how readers choose books. It is complicated because readers are so different, but there are definitely some things you can do that will help. Make sure your book itself captures the reader’s attention- Once you’ve captured a potential reader’s attention, you want to do everything you can to encourage them to buy your book. This means that you need a professional cover that promises the kind of book you are selling. You need an enticing jacket copy, and first sample pages that draw the reader in. This survey done by Goodreads indicates reasons readers abandon books. Might be helpful. Write a damn good book- Of course if you are trying to sell more than one book, your first book better be pretty damn good. This is for sure the most important part of self-promoting, giving the reader a fantastic product so that they want to buy more from you. It’s pretty obvious, but it seems that some don’t want to do the work to take their books to the professional level. But if you want people to buy more of your product, you better give them a great product. Write another damn good book and another and another- In my opinion, what is more important than spending hours and hours promoting your book is to keep writing. If you keep putting great books out there, people are bound to notice them. I think there is some truth to the saying that cream rises to the top. I’m sure not all the cream does. Sometimes it might need a little push, but always make sure what you are putting out there is cream. That is the single most important key in selling books. 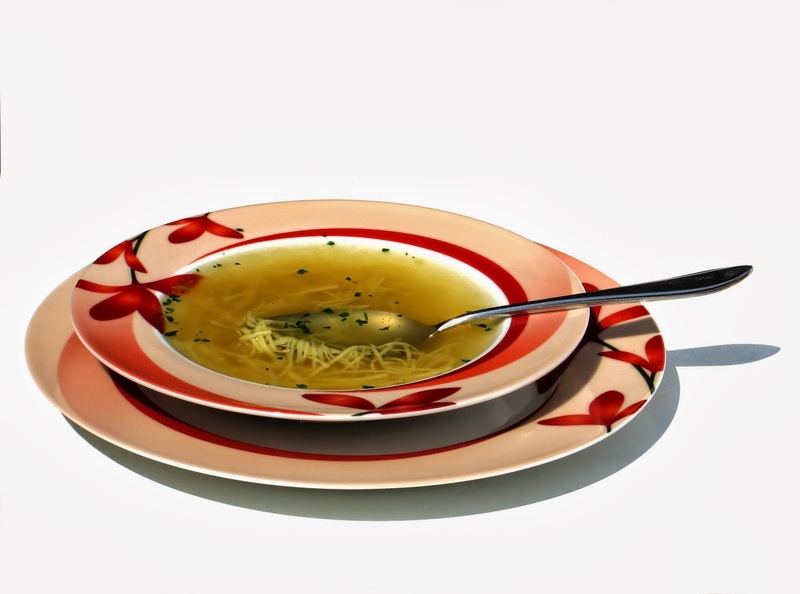 I hope you enjoyed my link soup on self-promotion. Please feel free to share any thoughts and tips you have. Alchemy is a thing. A real, published thing, which is the most surreal, incredible experience you can imagine. For just a short time, the ebook of Alchemy costs only 99 cents AND there is a giveaway at the bottom of this post, so make sure you sign up. There are several awesome prizes, including prizes donated by Darren Boekweg, Rebecca Ethington and Rick Chiantaretto. Thank you very much for them. I've had something on my mind for a while now, at least during those odd bits of calm that have been surrounded by much longer moments of sheer panic. Last year, I discovered Gretchen Rubin. She is many, many things, including a best selling author, but for the purposes of this blog post, I'm going to call her a famous blogger. She blogs about happiness, in all its multi-faceted glory. "Do you have the funny feeling?” I asked her. The “funny feeling” is the term the Big Man and I use to describe the uncomfortable feeling you get when a friend or peer has a major accomplishment. You feel happy for that person, but also envious, and also insecure and anxious about your own success. Gretchen quotes that 'people succeed in groups' catchphrase pretty frequently, and it took me awhile before I figured out what she was talking about. I get it now, because it describes what I love about indie publishing. I've been a published author for exactly 9 hours and 10 minutes now. Wow, it's an incredible feeling. This morning I was interviewed on two popular radio stations, and it has got me thinking about people succeeding in groups. 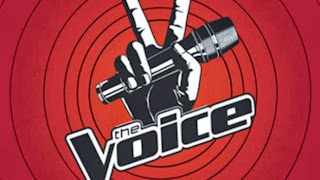 My friend Sharon is the lead singer of a band called Dixon Road, and she is also a DJ at a radio station. When she heard I was publishing a book, she offered to interview me on her radio station, an opportunity I never dreamed I would have on my first day as a published author. Then I found out she'd also arranged for me to be interviewed on another really popular radio station too. I had this tremendous opportunity because of her. She did it completely to be nice, but if because of her, I'm a little more successful, then she will be pulled up along with me. It is how it works. That's the heart and soul of "people succeed in groups" and also the heart of indie publishing. The indie world is a big, huge place, and it is easy to feel very, very small. But people are so kind. I know not all of them are, but so far everyone I have met has been. Sheena has some friends who are successful writers, and they have helped to promote our book, giving their time, their names, even their books to help support our cause. It is amazing. The Prosers and a few good friends from Hatrack were our beta readers, which is a time consuming thing, and they did it because that's what this wonderful author community does. Someday we'll pay it forward, or maybe even sideways. There is no way to succeed in this new world of indie publishing without the help of other people. Every time someone shares a link to a book they enjoyed on facebook, every time someone rates a book on goodreads or amazon, every time they suggest an indie book for their book group or to their library, they are proving that people succeed in groups. Word of mouth is incredibly powerful, and you don't have to be a DJ on a radio station to help your favorite authors succeed. It's like magic, and it is a very humbling thing to be experiencing it from this end. Thank you. Casting Alchemy as a movie! To get you all excited for the launch of Alchemy...I mean obviously you're excited already, but let's just explode with giddy over-hyped excitement for a minute or two and see the DREAM CAST of Alchemy! Anyway, this is my DREAM cast, (not real...at least not yet). Sabrina and Melanie's suggestions are mentioned, but...sort of ignored, if not outright stolen. This casting is chock full of inside jokes, so you might just have to read the book before they make sense... and in 5 days you can! 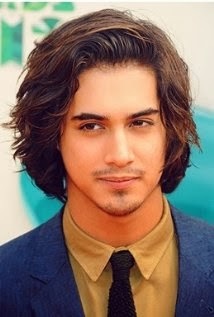 SAM Rodriguez Ryan, as played by Avan Jogia. 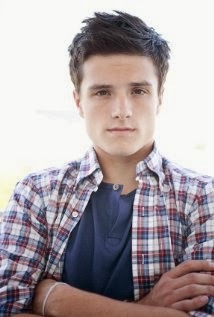 This is who plays Sam in my head. That's is Sam's Don Juan hair, and his goofy handsomeness. I've never actually seen Avan in anything, although my daughter has a Victorious shirt with his face on it, that I like to look at sometimes and think, "That's the fictional character that comes to my head." Sam's a former baseball player, who lost the baseball, but is still a player. He uses girls as a kind of medicine to distract himself from missing his pre-magic girlfriend, and from the fact that when he was infected with the disease which gave him magic he killed someone. Not on purpose, but that's part of his charm. The middle name I use right there is a joke. Which you will get in 5 days! I like this girl because she's boobtastic, and her eyes are hazel, but in a way that is easily confused with green. It's easy to get that confused. I think that should be clear. Juliette just wants to take care of her siblings, and when she's infected with magic, she just wants to know that they're alright, (I mean...all right) and not being able to see her family makes her fists swing back and forth. Juliette's amazing. Her past has made her react to the world with clenched fists, and colorful language. She's a fighter, made tougher than she should be by her upbringing, and is more powerful than she gives herself credit. ANA- Anastasia Meritthew, played by Ashley Benson. Melanie has a different person in mind for Ana, but when you watch Pretty Little Liars religiously....like I do, then the similarity between Hanna and Ana become very clear. Just pretend the H is silent. I love them both. Ana (in Alchemy) is AMAZEBALLS. She's a gracious, yet opportunistic beauty who doesn't have anything worth missing back home. She's a normal girl stuck in the middle of a school for freaks, trapped by her evil step mother. She's very much like a Disney princess come to think about it. JAMES Moriarty/ Mariani - as played by William Mosley, or a young Jensen Ackeles. When casting for James, invest in a time machine, because he keeps wanting to be played by actors who are too old, and too blond, to play him. In the book, James clearly has dark surfer hair, but he's also pretty...in the "oh my freaking heck, don't let my husband know I'm writing this" kind of way. James must be swoon worthily hot, and we will bend time and space and hair cover to make sure he's the right guy for the job. James has a really interesting back story that involves stolen canoes, and also other stuff, I have somehow forgotten while looking at the picture next to these words. Hello. My eyes are over here, people. 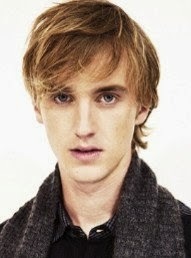 SEBASTIAN Cohen, as played by Tom Felton (but only in this picture) Melanie thinks he should be played by a young Alex Pettyfer, so I allow you to visually picture young Pettyfer when reading about Seb. I do. In fact, I picture Alex Pettyfer sometimes just for fun. But there's something about this picture that screams Seb to me. Maybe it's that whispy blond hair, or those huge dark eyes, or the fact that he's slightly creepy, while still being likable, but this reads Seb. 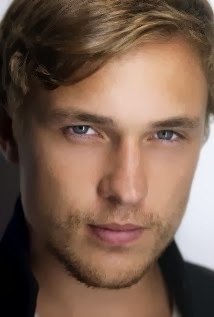 Sebastian is Sam's best friend, and he's shy and awkward, and head over heels for Ana. Seb also has one of the most tragic back stories in the book, and we haven't even revealed all of it yet by the end of Alchemy. (um...spoiler alert?) You can't help but feel for Sebastian. But you should really try, that's all I'm saying. Josh is totally Zach to me. Zach is the head of the Elite, and an idealist. He's shorter, for a guy, and tougher than he looks, while still having the ability to play a really annoyingly sarcastic and awful guy. And look at his spiky hair. Ulgh. I hate him. Sorry. I have a BIT of a bias against Zach. I don't want to spoil the book. But this is me holding back. Now, because the post is getting too long, I'm just going to start posting pictures and character names, and you can do the casting yourself in five days when you can buy and start reading ALCHEMY. And there's more, but I'm going to be done for today. I'll share more...maybe in say, five days? 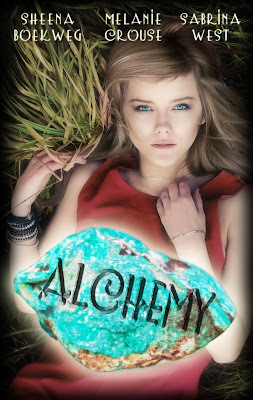 Add Alchemy to your TBR pile on goodreads. I’ve been kind of stuck lately. In a writerly rut. Not really writer’s block, per se. You see, writer’s block implies that you’re actually doing some kind of writing. I’ve been … dry. It’s in part due to major life/family events, but some also just due to inertia. I haven’t been writing, so it’s hard to write. Hard to start from a non-moving position. So I thought I’d share with you some of the tricks and tips and workarounds I’m using to jump-start, restart, reignite my writing. Hope you enjoy them! Book recommendation: Writing Magic by Gail Carson Levine. While this book is geared toward a student writer, I really love the writing exercises she includes in most chapters. Plus she encourages the writer to save what they write. Everything. Even the cruddy first drafts and the times when the writer was just playing around. As it turns out, looking back through some of my notes about writing, story ideas jotted down on a thousand different sticky notes in every room of the house, and re-reading old stories is another method of getting back into the writing saddle. The Snowflake Method – I have had many projects start well but fizzle later (usually at around the 2/3 point) and have concluded that lack of planning (being a total seat-of-the-pants writer) was hurting me. So I’ve vowed to do more planning. The snowflake method has always been a favorite of mine for doing the big-picture story planning, gradually getting deeper and deeper into the story as the snowflake evolves from a simple triangle into a fractaled wonder. This list from the good folks at Galleycat was an excellent source of resources for me this week. I’ve tried trello (still tinkering), and of course the snowflake method appears again. And that excel gods-eye view? Absolutely earth-shattering for me. I need a fully formed idea before it will be useful, but I plan to use this method for outlining scenes for my November nanowrimo project this year. Highly recommend, particularly for any screenwriters out there. The Blake Snyder Beat Sheet was recommended by a writer friend aware of my predicament. Blake Snyder wrote a writing book called Save the Cat that is well-regarded in writing circles. I haven’t spent much time with it yet, but I plan to use it as my next trick on the story idea I’m gestating at the moment. Yes, I finally have a reasonable story idea! These things have worked! Lesson: Everyone flocks to familiar characters. Spin-offs can be your friend. Sometimes even little twists (like having two technical nerds instead of one) can go a long way. 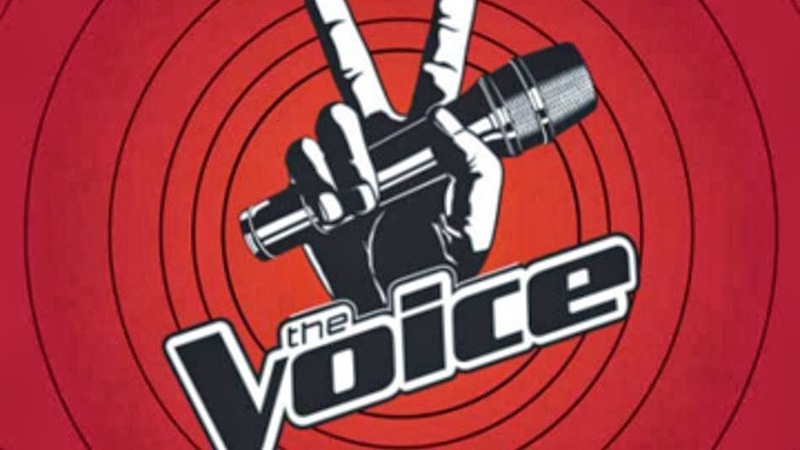 I haven't seen anyone as awesome or intriguing this season as Juliet Simms, Lindsey Pavao, or Michelle Chamuel yet, but I just can't stop watching. Lesson: Everyone is a sucker for a tragic backstory... it makes the happy endings all the more comforting. It's embarrassing to admit I watch this. Anyway, I'm impressed that the show manages to exploit the guys just as much as the girls. And I'm rather astounded by their lack of creativity - really, do 90 percent of their shoots have to involve the models making out? Lesson: Cheap drama sells and sells and sells, and silly saps like me keep coming back for more. Admittedly, I haven't watched this yet, but I'm curious if it's any good - has anyone seen it? Lesson: Old stories redone get approved faster than any original plot. What are you watching this fall? 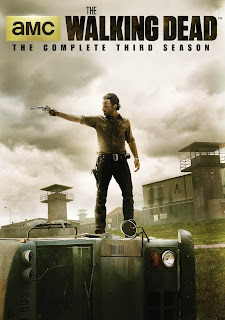 My husband has been trying to get me to watch The Walking Dead for the longest time, and recently, I finally agreed. But before starting I had to ask my husband if there were good women characters on the show because there are a whole slew of shows that he likes that have fantastic male characters but every woman character is horribly weak and annoying. It drives me nuts to the point where I just can’t watch the show. He had to think about it for a moment, but he eventually reassured me that there were some good female characters. After watching the first two seasons, I disagree. Don’t get me wrong, I have no problem with a weak female characters here and there in stories. They do exist in real life just like weak males exist in real life, but when every female character falls into this category, I’m going to think that the writers have women issues. There are plenty of post about sexism in The Walking Dead because it is rampant, and there are some countering arguments as well. But I’m not really going to talk about the sexism, but focus more on how writers can undermine characters and make them annoying and even hated by the audience. I think it is important to check ourselves to make sure we aren’t doing this to a group of characters who are different than us in some way whether it be gender, race, sexual orientation, or political or religious views. If every character of certain type is being undermined in some way, we may have to consider our own biases towards that group (and let’s face it, we all have biases). I really had to think about this for a long time. Why did the major female characters annoy me so much more than the male characters? When I really thought about it, all the characters are kind of stupid. So it wasn’t because the women did stupid things because the men did stupid things too. 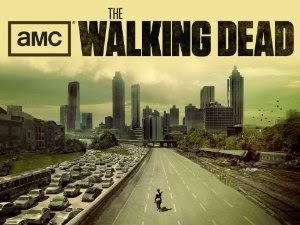 I’ve decided that this show is really about how not so bright people try to survive the apocalypse, and somewhere out there in this zombie-infested land is a group of savvy, intelligent people who have realized that by planning ahead and abiding by some very crucial rules, they can rebuild a society. Let’s just hope that these morons in the show don’t stumble upon them and ruin it. I’m just going to give a few examples of the stupidity of this group, and there will be minor spoilers so feel free to skip this if you haven’t seen the show and plan to. city is a death trap. 1. They seem to forget that lights and noise draws zombies near at times. Now the character Morgan Jones and his son in the first couple of episodes got it right. Be quiet and keep the lights off especially at night because zombies are drawn to light and sounds. But the main group seems to forget these rules over and over again. In the camp in the first season, they are laughing around a fire at night, and they are shocked to be attacked by zombies. Really? Dark woods, camp fire, loud talking and laughing? Any zombie in the vicinity would be drawn to them. Also, the farm house in season two is always lit up at night when zombies are found in the woods all the time. Morons. Sometimes they are careful about using guns, but other times they just fire away. Is it really wise to waste ammo and risk bringing the zombies down on them for target practice? Also the barn scene (if you’ve seen it you know what I’m talking about) all that shooting. I just cringed the whole time. Why wasn’t the farm swarmed with zombies after that incident? 2. They never have any sentries or look outs. They should, always. In fact, they should take shifts and always have people securing the perimeter, and not just one old guy on top of the RV during the day. How is he supposed to see an attack coming from the other side of the farmhouse? Didn’t anyone learn anything from the camp attack? 3. Which brings me to number three, they never learn anything. They discard good ideas that worked and never try them again (yeah it’s gross to be covered in zombie guts, but they totally walked right through a mob of zombies with no problem until it started to rain. Why not use that tactic again? ), and they make the same mistakes over and over again. They never seem to learn from their successes or failures. 4. They always send just a couple of people on missions to zombie infested areas, and no one ever stays with the get a way car. Another mistake they make over and over again. They always get trapped with no way to get back to the car. Hey, if you leave someone in the car, they might be able to drive the car to get you. 5. They never have any back up plans or really any plans at all. It might’ve been a good idea to have planned a safe meeting place just in case the camp or farm gets swarmed with zombies, just a thought. I could go on and on ranting about the stupid things they all do, but I need to get back to my real point (sorry about the detraction but I’m not editing it out because I feel the need to share my frustrations). Anyway, my point is that although at first it seemed to me that the male characters were smarter than the female characters, upon deeper examination, I don't really think that is true. It is the way the story punishes or ignores the female characters that make them seem that way, and as a result they come off as weak and annoying. Here are some ways women characters are undermined in The Walking Dead. Note: I’m going to try hard to do this without any major spoilers, but there will be some. Also, I’ve only watched through season two, so I have no idea what happens in season three (fingers crossed that it gets better). Another Note: I could easily write another post on how black characters are marginalized in The Walking Dead as well, just something to think about. 1. Make them inconsistent. I understand that there can be conflicted characters, and I think they can be awesome characters, but there still needs to be consistency. I think when there isn’t consistency, the readers get a little annoyed because they don’t have a good feel for the character and they perceive the character as wishy-washy, and the character becomes annoying. (Spoilers) I’ve read that there is a lot of hate for Lori on the show, and honestly, she is a very inconsistent character especially in dealing with Shane (stay away, no don’t leave, it’s not your baby, it could be your baby, Rick you have to do something about Shane, I can’t believe you did that to Shane), but in other things to (pregnancy and raising Carl or not raising him). She comes across as a person who can’t make up her mind about anything, and that annoys readers. In a lot of ways, it feels like she does whatever the plot wants her to do to create conflict between Shane and Rick. I’m not sure if she is a real character or just a plot device, not that there is anything wrong with character plot devices (Prim in Hunger Games), but they really should be minor characters. When you move them to the forefront, their lack of characterization can make them frustrating to read about. (More spoilers) Maggie too is a very inconsistent character, but she is a lot more minor. Still it is worth pointing out. At first she rides in on a horse and chops a zombie’s head off. It was awesome, but later she is squeamish about killing zombies (if you’ve seen the show you know why). She also goes to town all the time to collect supplies. I figured she knows how to handle herself against zombies because she must’ve run into one or two from time to time, but no. When she gets attacked by one zombie in the pharmacy, she completely falls apart and Glen has to save her. She acts like this has never happened to her before. How is that possible? She was so awesome in the beginning what happened? These inconsistencies are annoying, and they make her annoying. 2. Make them pointless. So much of the time the women do nothing while the men run around and solve all problems. I’m not sure there is a more pointless character than Carol (other than for her to cry about Sophia, what does she do in season 2? I haven’t gotten to season 3 yet, so she may do something eventually). Even when the women do finally do something, their actions are pointless. (Spoilers) Lori takes a car to try to save Rick and gets into a car accident, and Shane goes to save her. It seems like it could be a good plot thread, but it ends with nothing really accomplished. No added tension no effect on the plot. It was just a meandering plot point which could easily have been removed from the story. (More Spoilers) Same thing happens when Andria shoots Daryl. First of all, it was a stupid thing to do, but it also was pointless. It didn’t really harm Daryl or attract any zombies or even increase tension between any of the characters. It was another meandering pointless plot point. I think these pointless plot points are annoying to viewers. They do not move the story forward but stagnate it, but the annoyance transfers from the story to the character involved, and when it is usually the female characters who are stagnating the story, they are the ones who are going to get the hate. Nothing the women ever do moves the story forward. I’m trying to think about what choices if any that the women in the story make that moves the plot forward. All I can think of is Lori sleeping with Shane, and yes that is a big one, but the major conflict it instigates is between Rick and Shane. Neither holds Lori responsible, and she becomes the prize in their tug-of-war and not actually apart of the conflict itself (like I said, Lori is a plot device). I think we have already established that Carol does nothing, and Andrea struts around with a gun, but doesn’t really help much. The only thing I can think of is her suicide plot and assisting Maggie’s sister with a suicide attempt, but both of those were more meandering pointless threads that had no bearing on the overall plot arc of the story. The more interesting characters are always going to be the ones who move the plot forward. In The Walking Dead men make mistakes, they do dumb things, but the consequences of their actions good or bad for the most part feed into the plot. The Women make mistakes, they do dumb things, but they are neither rewarded nor punished for their actions. What they do is unimportant and marginalized by the choices the writers, and that makes them as characters unimportant and uninteresting. 3. Have their actions contradict the themes of the story. I can understand why my husband thought that there were at least some strong women characters because Andrea actually can come off as strong. She makes some bold choices, but the story usually undermines her choices and in the end makes her seem foolish. (Even more spoilers) She decides to end her life at one point, and Dale forces her to live on by saying if she stays to die, he will too. Andrea later gives a really interesting speech about how he didn't save her that she saved him. She talks about how brutal the world is, and how he had no right to take that choice from her. It's an interesting speech, and it presents a moral dilemma. Is suicide a valid choice in this brutal world? What are they surviving for? But the narrative undermines her conviction and ultimately proves that Dale was right. She, herself, finds the will to live and later fights with all her might to survive. Plus the themes of not giving up and holding on to hope are constantly running through the story. Four out of seven (~ 57 %) of the women characters contemplate suicide or consider death to be a valid option when only one (and he is a very minor character in only about two episodes) of the ten plus male characters (< 10 %) ever even think about giving up. When taken all together, how can it not seem like the women are just mentally weaker than the men. When the thoughts and choices of the characters go directly against the themes of the story, the readers/viewers are automatically not going to side with them and see them as weak. I need to end this post because it is ridiculously long, but I think we should consider what messages are being sent when a certain group of people are being marginalized in a story and what that suggests about them in real life (give you a hint, women = incompetence). Yes, some characters can be plot devices or pointless or have minimal impact on the plot, but when every female character or every character of a certain race or beliefs falls in this category, there is a deeper problem here. I know our proser readers are awesome and I doubt any of you would marginalize a group in this way, but just in case, I hope these points I've made might be useful to diagnose such shortcomings. One more point before I go. 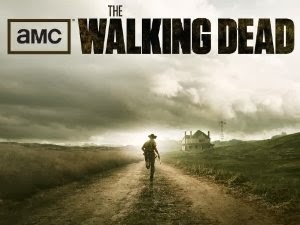 I know I have been pretty harsh on The Walking Dead, and I just want to say that it has done a lot of things right. 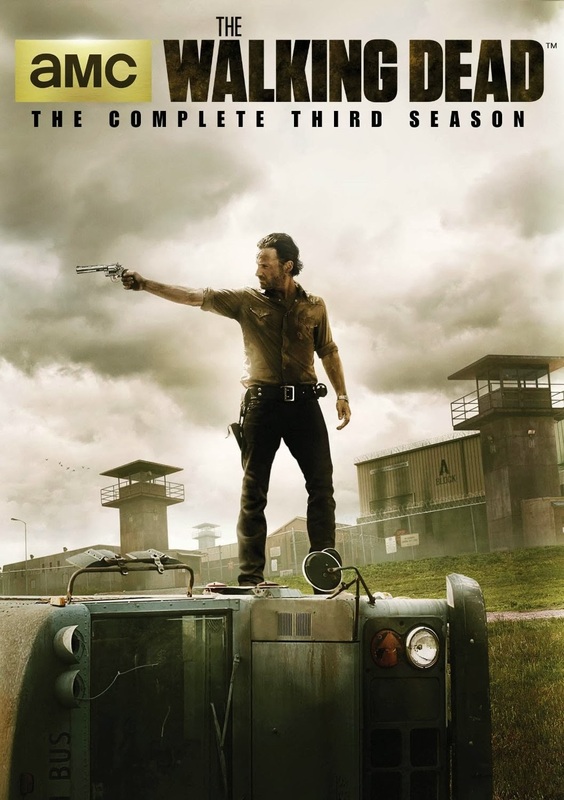 I burned through seasons one and two and do plan on seeing season three. There is a lot of good story telling here, and powerful, heartbreaking moments, and a tension that pulls you through. I just wish they would have taken more care with the female characters. I'm hoping season three will be better.